The Aviara trail system is one of the most diverse trail systems in the city offering a variety of nature experiences to trail users. The names of the various trails reflect a specific characteristic unique to that particular trail. All trails are unpaved. Some have steep or narrow sections. This trail is not a long trail but has beautiful views of the Aviara golf course and a water feature with seasonal flowers and water fowl. Access is located at Ambrosia Lane. 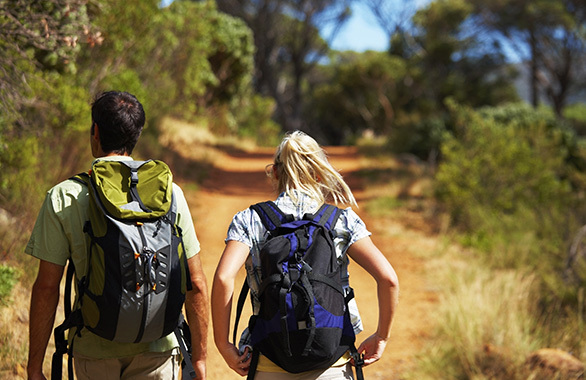 The trail has a few steep climbs that give challenge to trail hikers and also has commanding views of the golf course, eucalyptus trees and chapparral. This trail gets its name from the native sage plant found in much of the coastal sage scrub that is along the trail and growing in the canyons adjacent to it. This trail can be accessed off of Aviara Parkway or Docena Road and offers commanding views to the east of San Marcos, to the south of Encinitas, and the hills beyond as far as Black Mountain. 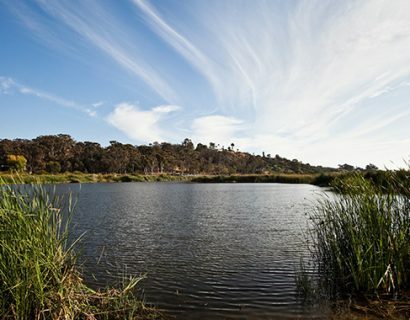 This trail is located in low-lying areas of the Aviara residential community and terminates at the south end of the trail with a viewpoint at the east end of the Batiquitos Lagoon slopes. Much of the vegetation along the trail consists of shrubs and flowers that are indicative of salt marsh areas of the watershed that lead out to the lagoon. As the name suggests, there are many groves of eucalyptus trees to walk through on this trail. 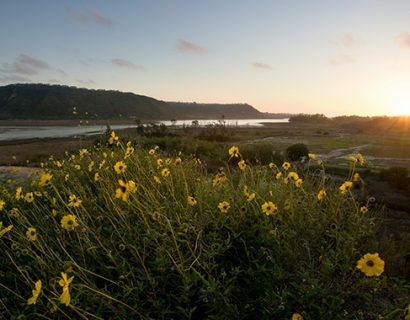 At 1.2 miles, this is one of the longer trails in the Aviara trail system and offers a variety of steep topography as well, with high points that offer breathtaking views of the Batiquitos Lagoon and ocean beyond. The Lagoon trail is the most well-known trail of the area and provides a wonderful nature experience being so close to the water and the Aviara golf course. Egrets, raptors, herons, and many other water fowl and migrating birds call this home in the winter months. Hikers won’t be disappointed when they see these magnificent birds in their natural environment. This trail is approximately 2.13 miles in length and parallels the lagoon’s north shore. This trail is not as topographically challenging for many trail users and also offers an interpretive learning experience for all ages with signage placed along the trail about the flora and avian wildlife of the lagoon. Parking is available at the Aviara Community Park or the Aviara Oaks Elementary School.